SketchUp has probably been the widely used 3D designing and modeling application. People across the world use SketchUp to meet their designing needs in a satisfying way. The reason behind the surprising growth of the application is its user-friendly tools and features that embrace everyone having a designing spree. To offer a better communication between experts and learners, SketchUp workshop has been organized every year where important tools and effective tactics are discussed to bring the inside out of this application. This weekend SketchUp workshop is planned with the Corvus Design, an architectural studio in Collooney, where participants will understand how to develop skills to have a better communication with their project. The courses are planned in a systematic way that helps designers learn step by step every detail of the project. Though there are no eligibility criteria, basic computer skill is preferable. The workshop is complete based on to introduce you with the basics of SketchUp and how can develop project prototype quickly and effortlessly. Different 3D angles and floor plans will be discussed there where participants can intensely observe designing procedure. As believed conventionally, 3D modeling interprets your designing plan better and clear than other applications available. You can observe every step of designing in real time that makes the installation and layout of your project easier. 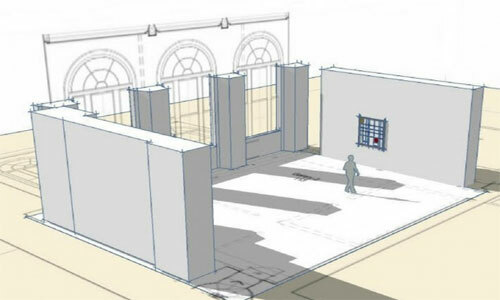 Artists will get a thorough understanding of virtual 3D exhibition space that translates their 2D pans and sketches into three dimensions model. The courses involve the basics of SketchUp and their applications for 3D modeling on 2D plans. 2. Orbit, Pan and Zoom etc. The workshop is solely organized for those students who want to get an expert guidance to hone their skills in the 3D world. Since its demand is growing with time, it is definitely a profitable sector for the young generation.